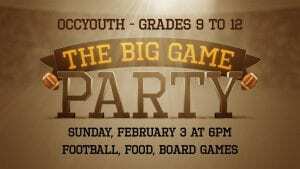 All students in grades 9 to 12 are invited to Pastor Brent’s house (3 Francis Road) for a Super Bowl party on Sunday, February 3 at 6pm. 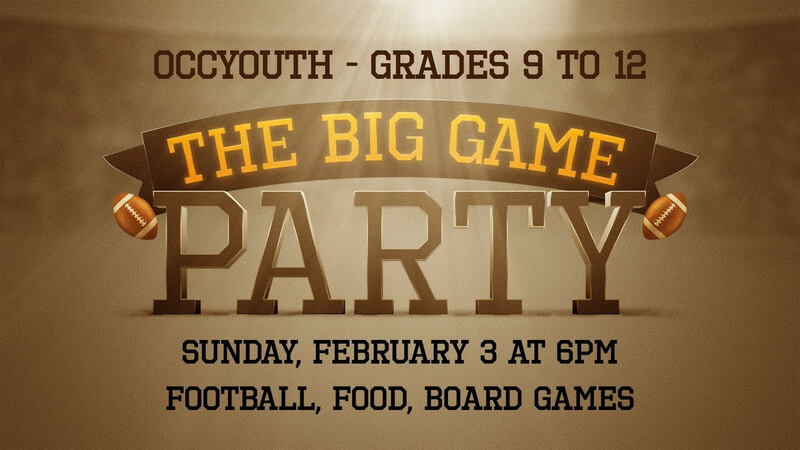 We will have lots of food and enjoy the big game together. There will be board games and a few surprises to keep you entertained. See Pastor Brent for more information.